Explore the numerous day-trip ideas around Rovaniemi: Luosto (in Sodankyla), Amethyst Mine Lapland (in Luosto) and Pyha-Luosto National Park (in Pyhatunturi). There's still lots to do: get in on the family fun at Santa Claus Village, look for all kinds of wild species at Wildlife Areas, take an in-depth tour of Arktikum, and see Santa Claus Office. 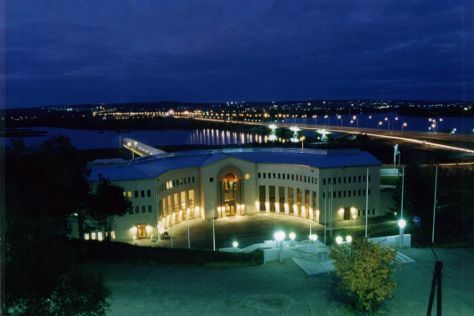 To see ratings, traveler tips, reviews, and other tourist information, read Rovaniemi trip planner . In November, plan for daily highs up to -2°C, and evening lows to -7°C. Wrap up your sightseeing on the 19th (Mon) early enough to travel back home.